Calcite is common at Halls Gap. Crystals are negative rhombs which are often intergrown to the point of forming hemispherical masses. 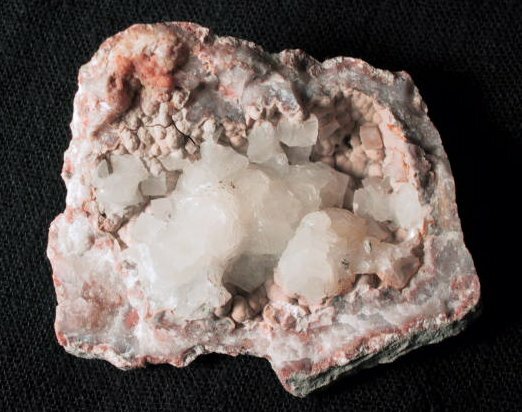 This geode is about 6 cm wide and is covered in a variety of quartz called chalcedony. Specimen is in the collection of, and photographed by, Alan Goldstein.